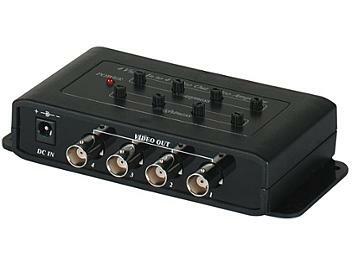 4 video input to 4 video output. 10dB video gain compensation amplification and HF compensation. Sharpness and brightness adjustment, perfect to work with DVR.